This is a touchy topic for so many people, so I figure I’ll just leave it at: everyone has their own right to their beliefs and as long as you don’t push it down mine or anyone else’s throats then believe what you will and I’ll stick to just believing in something greater than myself. Oh my, lookie what I found! I just hope I didn’t ruin the song for you. You know what I realized? People keep saying that they’d do or love something/someone because of and when the going gets tough, they get going. 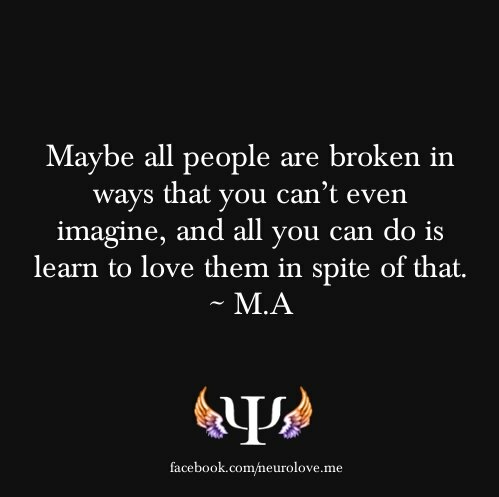 But why don’t we learn to do/love in spite of? We do and love in spite of all that and learn how to get through the difficult situations so that the happy memories last longer and mean more to us.